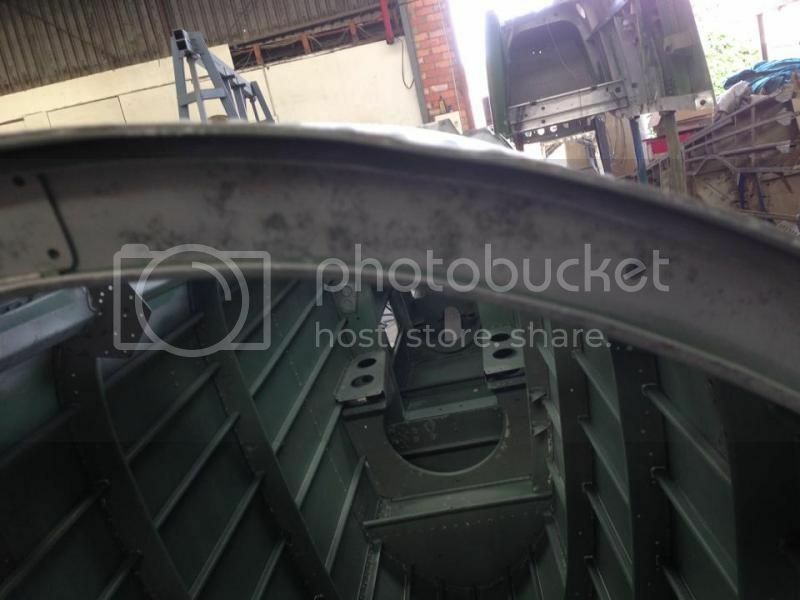 Beaufort A9-13 restoration underway - can you help? Cash pledged :-) All the best to the team, I can't wait to follow her progress! Good on you, Zac. Thank you so much. The fundraising is currently at the 43% mark of the target which is a great result for less than a week. The challenge now is to maintain the momentum. 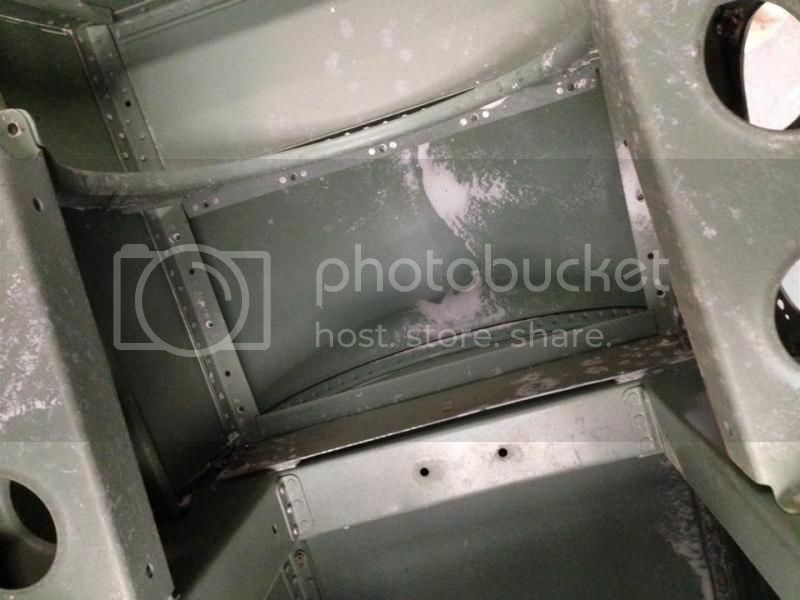 I have a few photos of the restoration work that has already begun on the stern section and will post them up when I get a chance (along with the movement cards). Here's a few photos of some early work underway. The fundraising is going well with a touch over half of the initial goal of $5,000 raised. Things have slowed down a bit so any help is very much appreciated. Spare rear section from A9-574. This will provide parts as needed. Section removed for test blast. 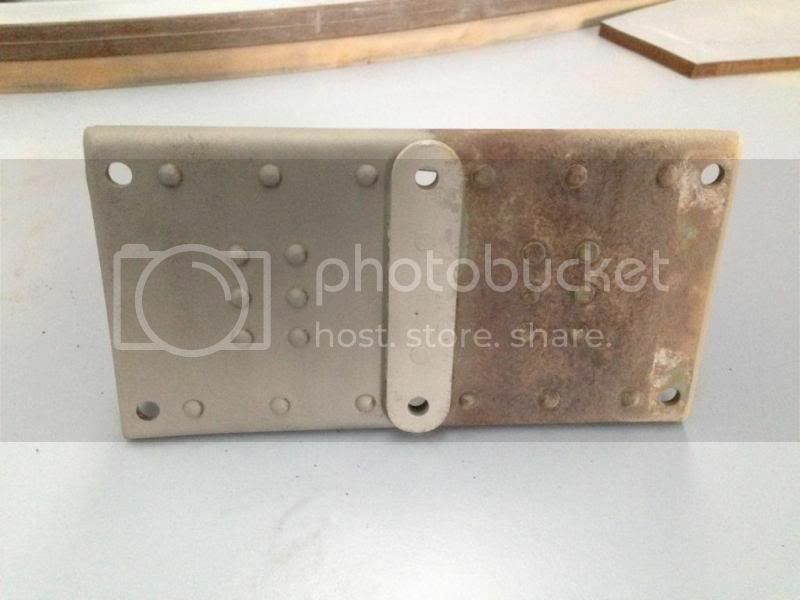 Before and after shot of another part that was test blasted. Happy days! For those of you following this fundraising effort, and the project in general, you will have noticed the A$5,000 goal has been reached and exceeded by 10% already. 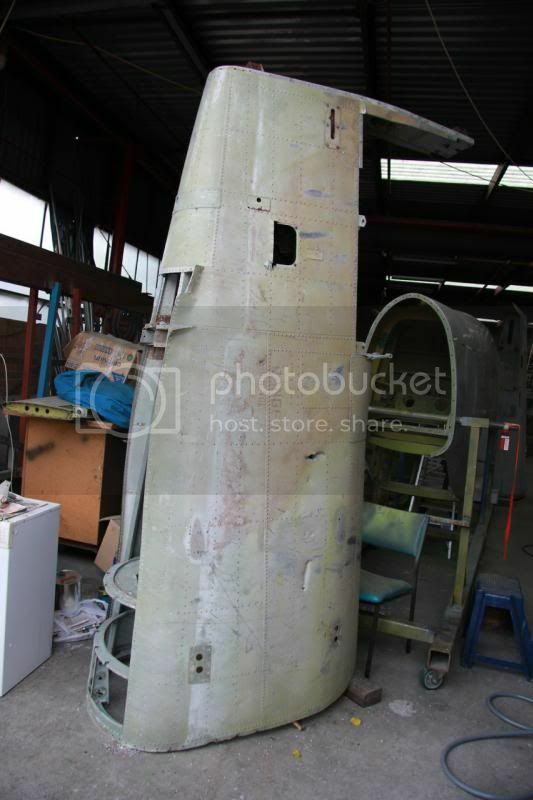 All excess funds, for which the museum is eternally grateful, will be put to the next steps of the restoration - the turret and the centre section of the fuselage. 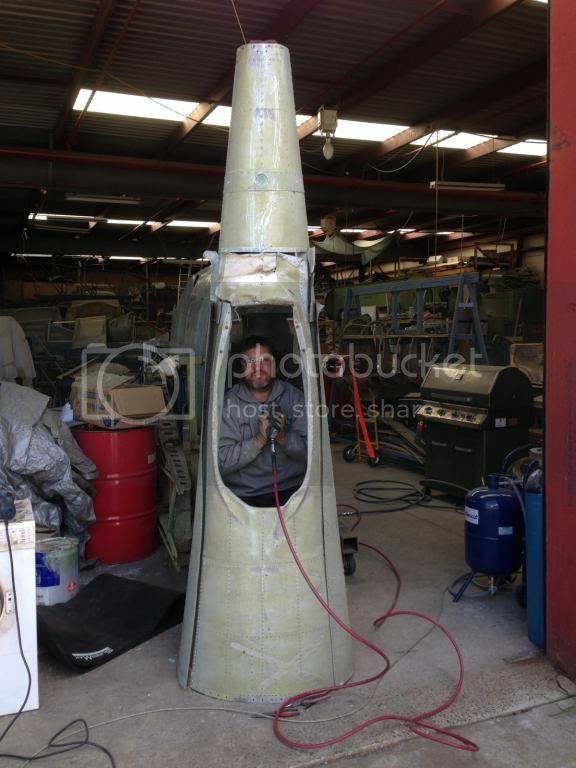 The part marked above as going in for a test blast has returned completed and primed and looks stunning. 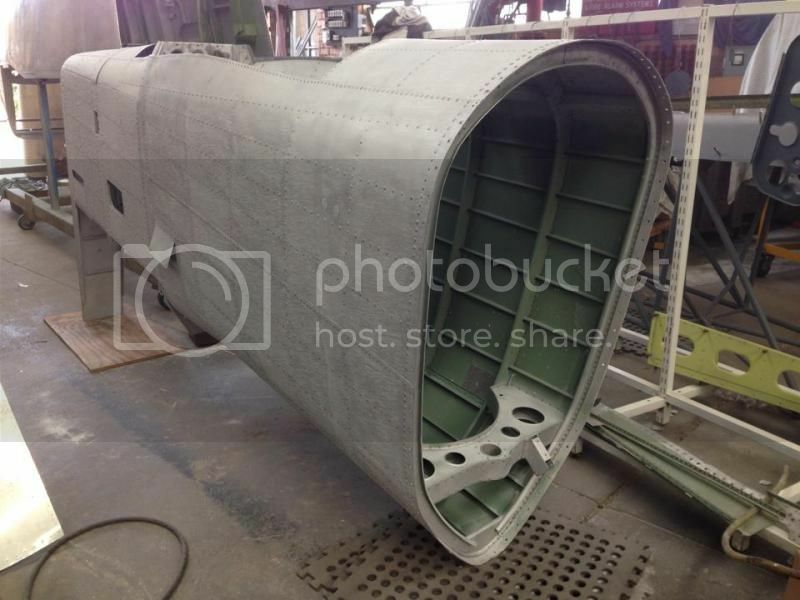 There's something about aircraft parts in primer that just warms the cockles off my heart. Maybe it's just me. More photos to come and I've still got to post the aircraft's movement card. Another return from the blasters. A big step. Thank you all again for your donations. 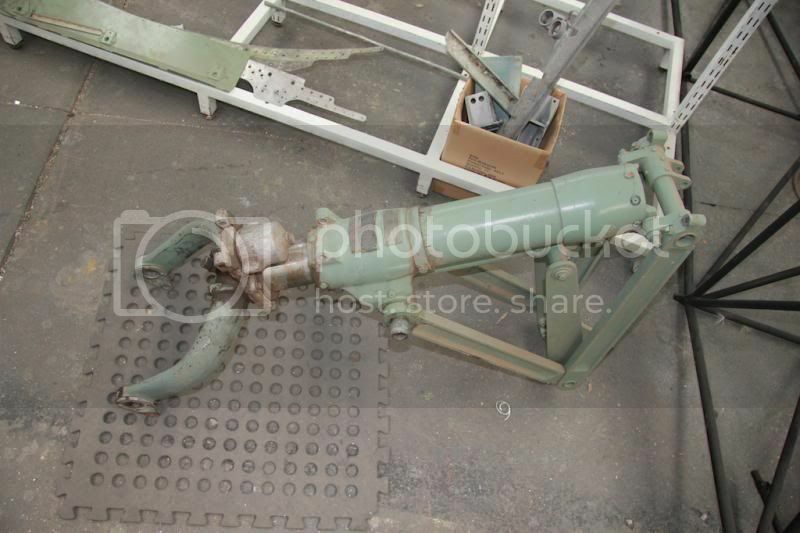 As I said above the goal has been reached but the surplus is going to the rare Mk I turret and then the centre section. Further donations through the current Kickstarter effort gratefully received. Onwards! 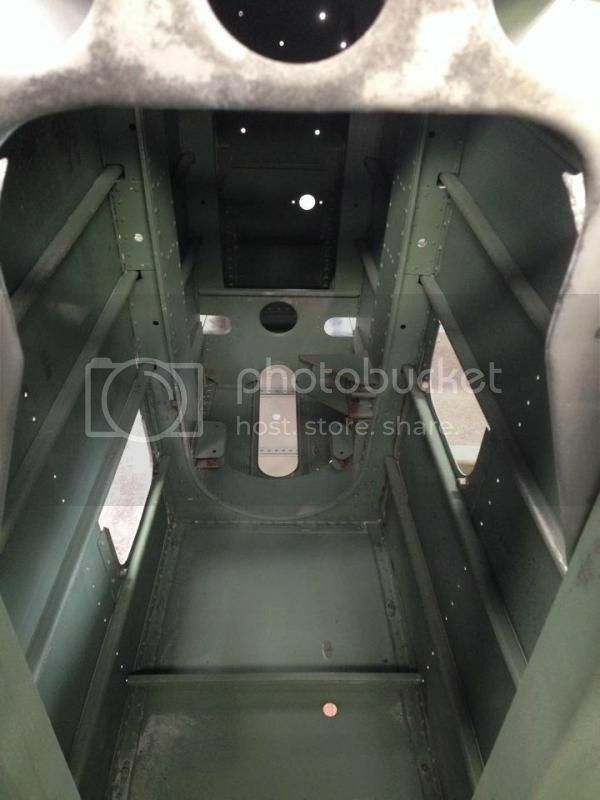 Some more detailed pics of the stern frame back from the blasters. 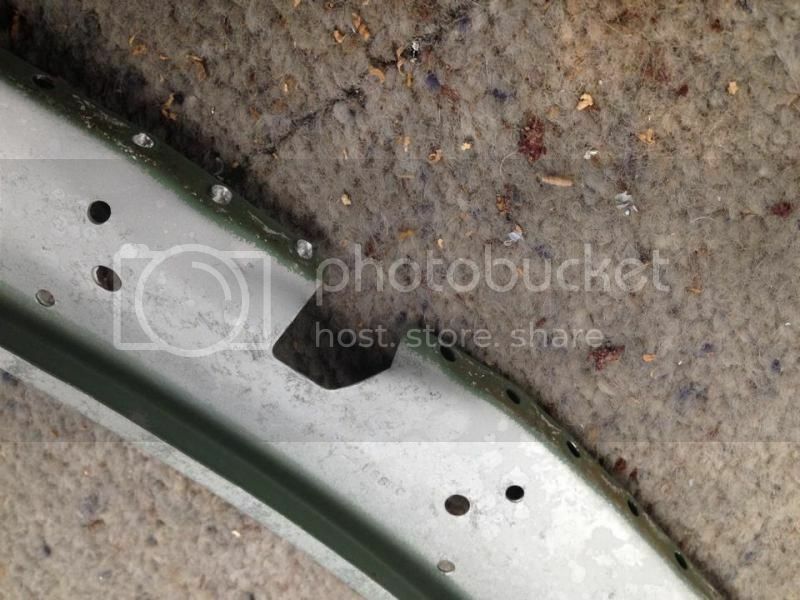 Some corrosion as you can see so the next step is a good clean etc. Still time to donate. Thank you as always. 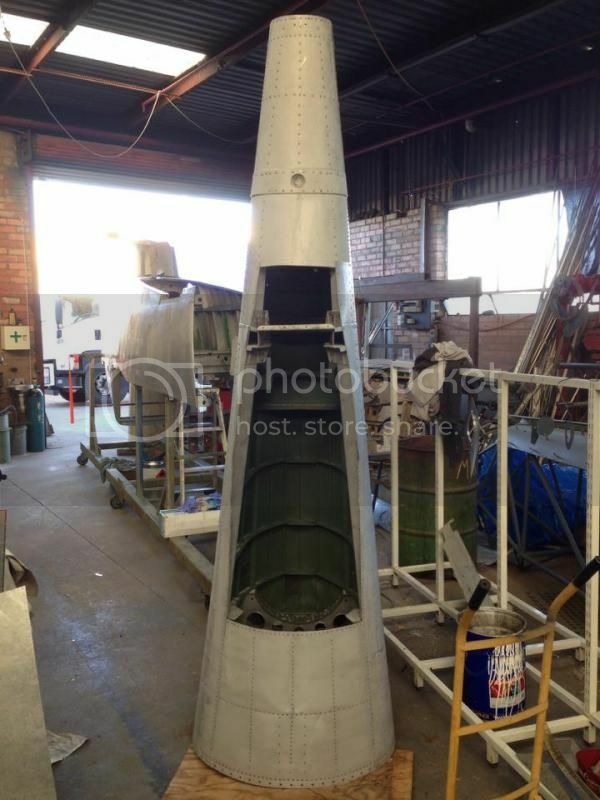 www.kickstarter.com/projects/moorabbinairmuseum/raaf-beaufort-a9-13-restoration? Can we make 100 backers or $7,000?! A9-13 was assembled in Australia from imported parts but re-engined with P&Ws so definitely a British Beaufort as opposed to an 'Australian' one. The P&Ws were selected when it was realised deliveries of Taurus donks from the UK would be problematical. I've amended my original post, Shorty, to include you name and have requested the museum do the same. A9-13, as RAF T9552 was allocated to the RAF 100 Squadron Q flight, that was originally based at Point Cook and later at Richmond in NSW. 5 of those aircraft did travel to Singapore but played no particular role other than reconnaissance as the crews were not fully trained on the type, the weaponry wasn't fully operational, and these aircraft had "production" issues as could be expected from the first sets off the production line and effectively rushed into a war zone. A9-13/T9552 wasn't one of those 5 aircraft that flew to Singapore. RAF T9552 is officially an Australian built DAP Beaufort mark V, there is no production record of it within the Bristol Beaufort construction numbers as a mark I with Taurus engines or the RAF T9552 serial being allocated to a UK Bristol Beaufort production aircraft and delivered dismantled to Australia. The decision to build Beauforts in Australia commenced in 1938, and at that time it was likely that the production would have used UK supplied Bristol Taurus Engines, as the Bristol Beaufort mark I had only achieved its own first flight on 15 October 1938 and the first examples did not go into service until 1940 when the Taurus engine problems started to be identified. There was a single Bristol built pattern aircraft acquired (Bristol Beaufort Mk I, RAF serial L4448) in 1939 and it was converted from Bristol Taurus power to Pratt and Whitney power and re-serialled A9-1001, as part of the design study of fitting the P&W 1830's to the Australian built Beauforts. There were 20 kits of UK / Bristol Parts brought out from the UK, but I don't think it was ever intended to fit Taurus engines to those specifically, and the Australian Beaufort project quickly moved over to designing the type to use Pratt and Whitney 1830s not so much due to concerns about delivery of engines from the UK but also due to problems with the engine design and operation itself as encountered on RAF Beaufort mark I's in the UK. Hence its not clear that A9-13, or in fact ANY of the first 20 Australian Beauforts were "solely constructed" from those British parts, but even if they were, they are NOT UK built Bristol Beauforts that have been locally re-assembled, ie there are no Bristol built serial numbers lining up with the 20 kitsets of parts. (The aircraft in the museum's hands is now a composite of Mark V parts from A9-13 and many other original parts from later DAP built models/aircraft). DAP had lots of problems in technical support from Bristols, drawings were incomplete, and there were no UK jigs provided. Hence the "20" aircraft worth of parts are raw componentry, not complete dismantled aircraft. it is quite possible many of those parts were consumed in the various tooling rooms spread around the country to create jigs etc, rather than actually all assembled into resultant production airframes. 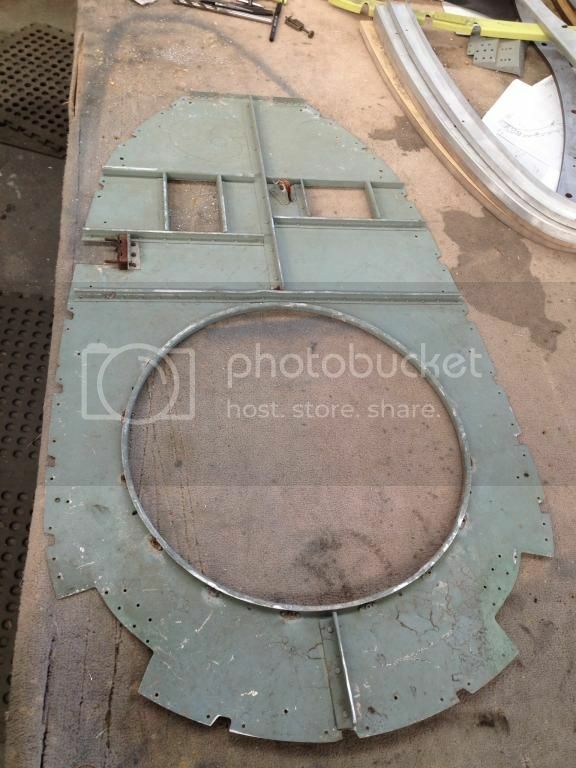 As shown in Shorty's excellent photos, the Mark V centre fuselage of T9552/A9-13 is identified by its lower set turret ring for the earlier type turret, resulting the V of the rear fuselage spine being higher than the turret ring mounting. This is a design feature shared with the Bristol mark I, the DAP mark V, VA, VI and early VII's. Of the 5 surviving Beauforts (and other remains), A9-13/T9552 is the only example of this earlier fuselage/turret design, the example in the RAF Museum is a DAP Beaufort Mk VIII painted to represent a Bristol Beaufort Mk II (which also used the Pratt & Whitney 1830s due to the earlier problems with the Taurus), while the AWM aircraft, and the privately owned example in the US are also DAP Beaufort Mark VIIIs'. 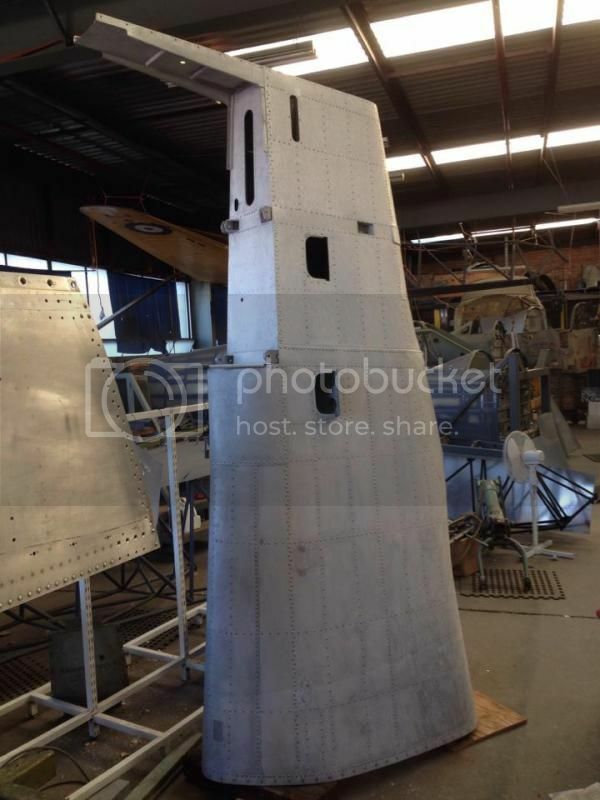 Ralph Cusack's airworthy restoration of A9-141 in Qld, is a late model Mk VII and in fact shares the same centre fuselage /turret installation as the later Mark VIII design. In discussions with Monty Armstrong, he is fairly confident all of the manufacturer plates he saw on the remains of T9552/A9-13 indicated Australian production not UK production. That in itself, still doesn't prove that componentry from the 20 UK kitsets weren't inserted into the early Australian production line, and fitted with Australian makers plates as finished airframe sections. 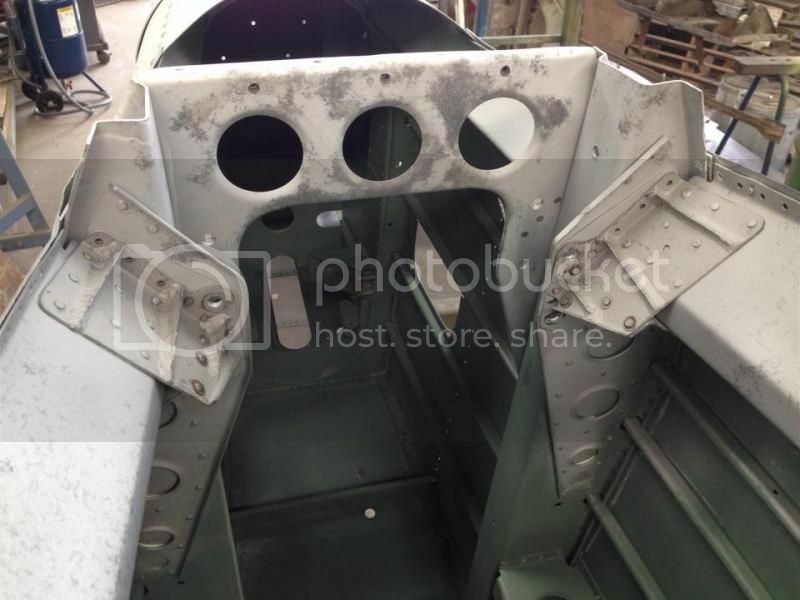 The original cockpit and wing centre section were left at Tadji as they had been badly damaged by fire. 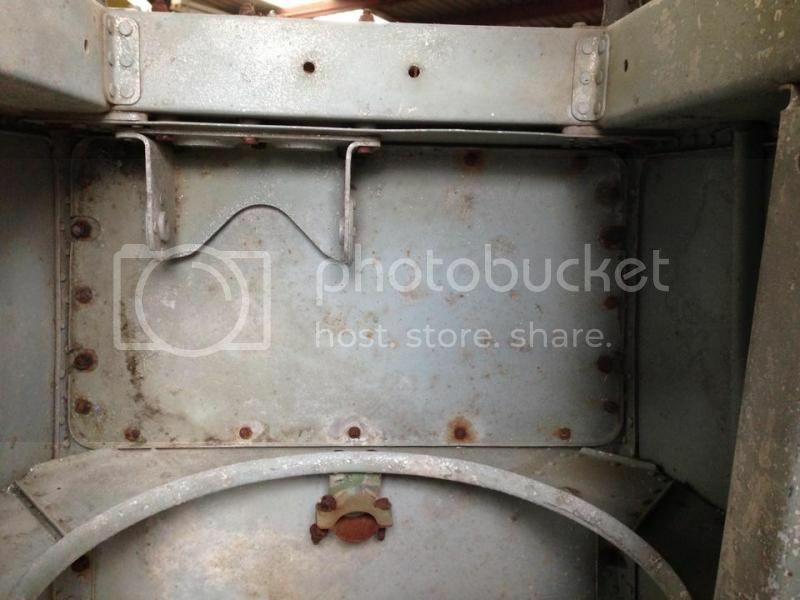 they are still there today if someone wants to duck up and check the makers plate details?. As to who flew it while it was in RAF 100 Sqn Q Flight?, I am not sure how that can be confirmed other than from personal log books, the log books of A9-13/T9552 were probably burnt at Tadji at the end of the war, and its RAAF History card only records movements from unit to unit. It joined Q flight at Point Cook Vic on 21/1/1942 as the 8th aircraft on strength and was allocated the squadron codes NK-B, and is seen in a early DAP film and stills in that guise, by the end of January it had relocated to Richmond NSW still as part of Q flight 100 Sqn RAF and was involved in Ship Convoy patrols along the NSW Coast. In May 1942, following the fall of Singapore, all RAF Beauforts were transferred to the RAAF and the Q Flight became the basis of 100 Sqn RAAF. Most of the UK crews returned to the UK to form up a new 100 Sqn RAF flying Lancasters in the European Theatre of operations. By that time, only 20 had been physically delivered off the production line, but a total of 50 were on the line with RAF serials already allocated to them. By June 1942 T9552 was now A9-13 and was transferred to 1 OTU at Nhill and then Bairnsdale Victoria where it remained until January 1944 when it was issued to 8 Communication Unit as a hack aircraft to do milk runs in PNG. It was used for Radar station calibrations and other milk runs until it suffered a forced landing at Tadji in May 1945 delivering fruit and vegetables to the Beaufort 100 Sqn RAAF Base. It is a Nationally significant and rare survivor and we are lucky to still have her with us, and much of that is due to Monty and Shorty's efforts on the ground at Tadji, as there were far better Beaufort wrecks to bring home than one with a burnt out centre-section and cockpit. Australia - "Never has a Country so Big!, owed so Much!, to those who Flew!" I am looking forward to your knowledge and general comments on aircraft things related to aircraft in this part of the world. This forum you will find, does not suffer from too much ill informed comments as others you are a member of. Presume this is the front section of this machine, pic's taken in July this year. 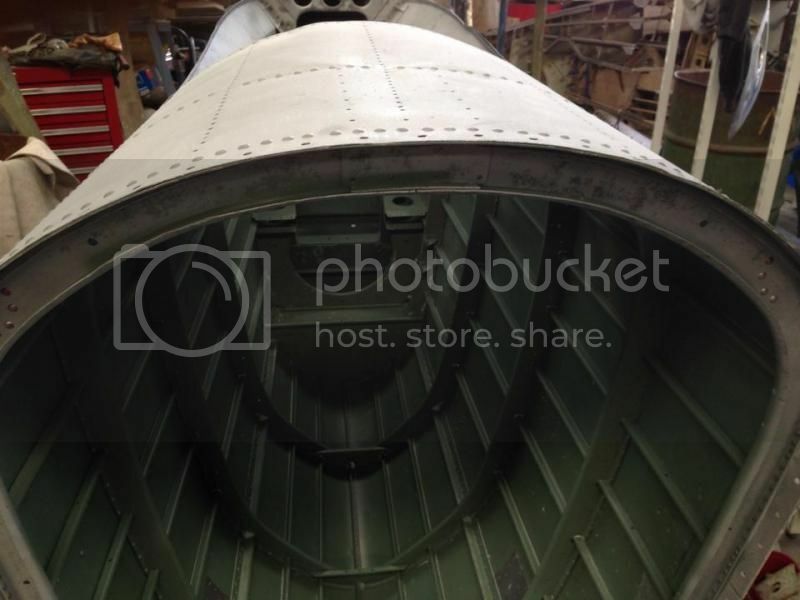 There is another nose section at the museum as well. You may be interested to know A9-574 was The Tucker Box at 8 Squadron. A couple of photos in the AWM collection. A9-13's operations should all be recorded in 100 Squadron's Operations Record Book. What is meant by The Tucker Box? Do you mean that is the name it had painted on the side? (I know what a tucker box is, just not sure of the context here, thanks). Correct. Nose art named for A9-574's regular pilot Gil Tucker. Off topic, just read these folks look like they have got hold of a CAC built Mustang! Bump! What's the latest news, if you can share?